Gran Turismo Sport, Sony’s answer to Microsoft’s Forza franchise, now has a confirmed release date of October 18 2017. Announced on the European PlayStation Blog, this is the release date for Europe and Australia. In the US, it's coming one day earlier on October 17. This confirmation comes just before the game is expected to complete its Closed Beta phase which first started in the US in March of this year. 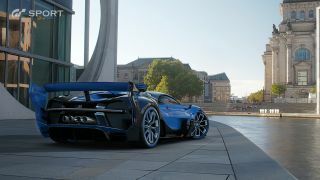 When the game exits this phase, Polyphony Digital will be able to begin polishing the game for this October launch. According to Sony, between now and launch we can expect to see and hear a lot more from the Gran Turismo development team who will be revealing more details on what features, tools, modes and tracks will appear in the new game. The game is now available to pre-order from PlayStation Store and a variety of UK retailers. There are several version to choose from on top of the Standard Edition including a Collector's Edition and a special Steelbook Edition exclusive to Amazon.